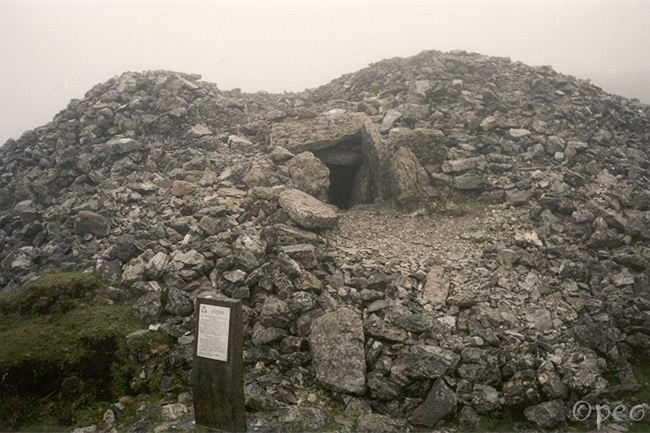 The tombs of Carrowkeel date from the 4th millenium BC, and they are situated some 30 km south-east of Sligo. It was foggy and wet the day I was there, back in 1997. I took shelter inside the cairns for a little while, before I walked back to the car.